Below you fill find all funeral homes and cemeteries in or near Merced. Merced is also known as: Merced County / Merced city. Their current mayor is Mayor Stan Thurston. Zip codes in the city: 95340, 95341, 95343, 95344, 95348. IN 1914,THE DRIVEWAYS AND LAWNS WERE PLANTED BY CHESTER E. WALCH, WHO OWNED THE CEMETRY AND WAS ALSO A CO-OWNER OF WELCH & GRIFFIN FUNERAL HOME.UNDER THIS MANAGEMENT THERE WERE 397 INTERMENTS. Some of the notable people born here have been: Dennis Cardoza (politician and businessperson), Tony Slaton (american football player), Cameron Worrell (american football player), Wendell Mathis (american football player), Bruce Bowen (basketball player), Ray Allen (basketball player and actor), and Dwayne Murphy (record producer and baseball player). Merced /mərˈsɛd/ is a city in, and the county seat of, Merced County in the San Joaquin Valley of Northern California. As of 2014, the city had a population of 81,743. 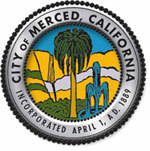 Incorporated on April 1, 1889, Merced is a charter city that operates under a council-manager government. It is named after the Merced River, which flows nearby.Merced, known as the "Gateway to Yosemite," is less than two hours by automobile from Yosemite National Park to the east and Monterey Bay, the Pacific Ocean, and several beaches to the west. The community is served by the rail passenger service Amtrak, a major airline through Merced Regional Airport, and three bus lines. It is approximately 110 miles (180 km) from Sacramento, 130 miles (210 km) from San Francisco, 45 miles (72 km) from Fresno, and 270 miles (430 km) from Los Angeles.In 2005, the city became home to the tenth University of California campus, University of California, Merced (UCM), the first research university built in the U.S. in the 21st century. It was written by Peoria Journal Star on March 15th, 2019 that Sherry Pope (Barman) passed on in Chillicothe, Illinois. Ms. Pope was 54 years old and was born in Merced, CA. Send flowers to share your condolences and honor Sherry's life. It was written by The Independent on November 14th, 2018 that Dennis Strickland passed away in Spokane, Washington. Strickland was 63 years old and was born in Merced, CA. Send flowers to share your condolences and honor Dennis's life. It was disclosed by The Mail Tribune on October 19th, 2018 that Pamila Annette Morrison (McCullough) passed on in Medford, Oregon. Ms. Morrison was 74 years old and was born in Merced, CA. Send flowers to express your sorrow and honor Pamila Annette's life. It was revealed on August 18th, 2018 that Wallace Wayne "Wally" Wilson passed away in Merced, California. Wilson was 90 years old. Send flowers to express your sorrow and honor Wallace Wayne "Wally"'s life. It was reported by Register Guard on June 7th, 2018 that Doralee Gomes (McCamey) died in Harrisburg, Oregon. Ms. Gomes was 75 years old and was born in Merced, CA. Send flowers to express your sympathy and honor Doralee's life. It was revealed by Chino Champion on May 12th, 2018 that John Sr Hoogendam passed away in Merced, California. Hoogendam was 92 years old. Send flowers to express your sympathy and honor John Sr's life. It was revealed by South West Times Record on March 29th, 2018 that Thomas Lee Perry perished in Ft Smith, Arkansas. Perry was 60 years old and was born in Merced, CA. Send flowers to express your sympathy and honor Thomas Lee's life. It was disclosed on January 28th, 2018 that Harvey Schlintz died in Merced, California. Schlintz was 97 years old. Send flowers to express your sorrow and honor Harvey's life. It was disclosed on July 28th, 2017 that Joseph Howard III McFadden passed on in Merced, California. McFadden was 74 years old and was born in Niagara Falls, NY. Send flowers to share your condolences and honor Joseph Howard III's life. It was noted by South West Times Record on May 29th, 2017 that Richard "Rick" Horne passed away in Ft Smith, Arkansas. Horne was 66 years old and was born in Merced, CA. Send flowers to share your condolences and honor Richard "Rick"'s life. Merced [mɚ'sɛd], is the county seat of Merced County, California in the San Joaquin Valley of Central California. Incorporated in 1889, Merced is a charter city that operates under a Council-Manager government government. It is named after the Merced River, which flows nearby. As of 2007, the city had a total population of 80,608. . The official website for the city of Merced is https://www.cityofmerced.org/. Funerals in Merced, CA on Yahoo! Local Get Ratings & Reviews on Funerals with Photos, Maps, Driving Directions and more. Stratford Evans Merced Funeral Home, Merced, CA : Reviews and maps - Yahoo! Local, 209.722.4191. Get Ratings, Reviews, Photos and more on Yahoo! Local. We work with local florists and flower shops to offer same day delivery. You will find budget sympathy flowers in Merced here. Our funeral flowers are cheap in price but not in value.